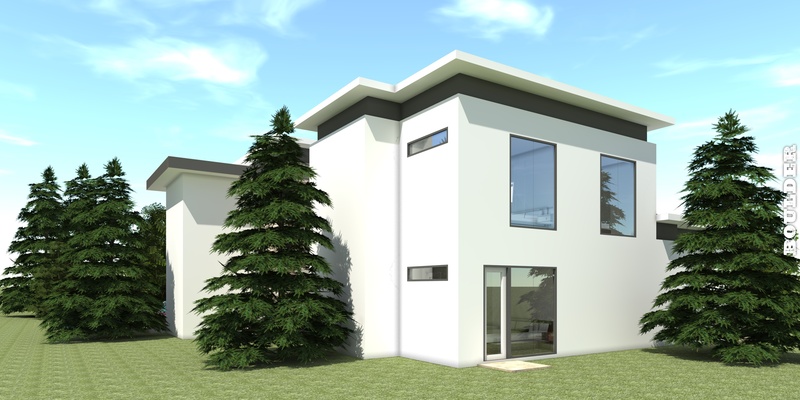 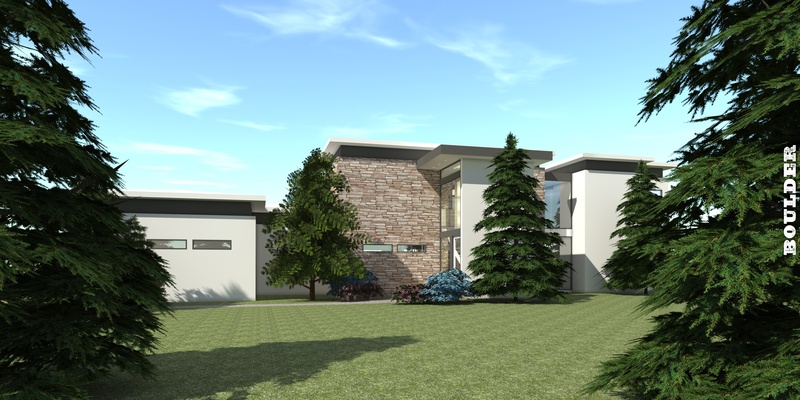 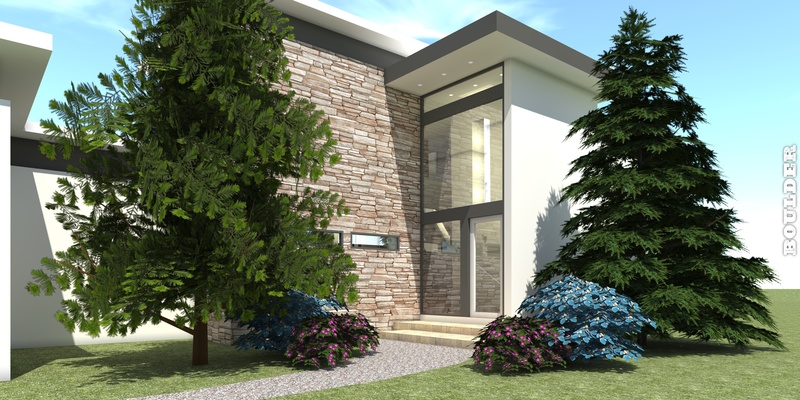 Boulder is an ultra-modern plan with 2 bedroom suites downstairs, and 2 upstairs. 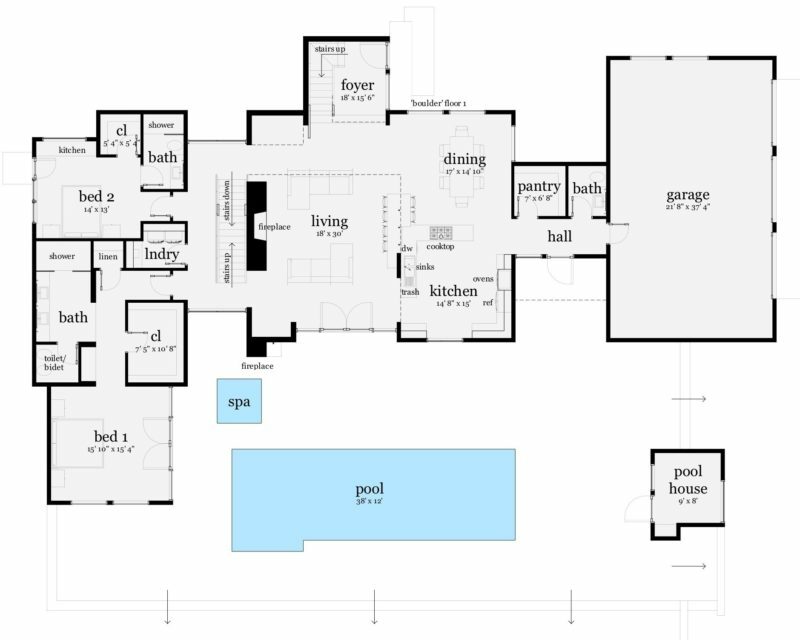 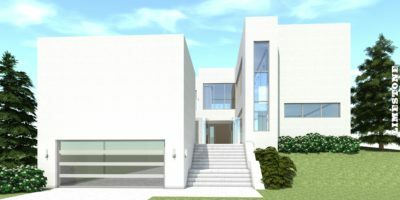 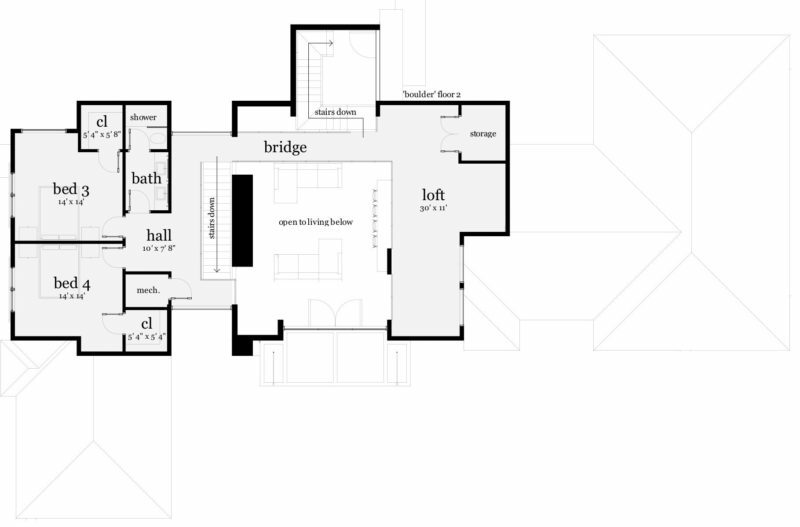 The large living space connects with dining, kitchen and upstairs loft for an open entertaining area. 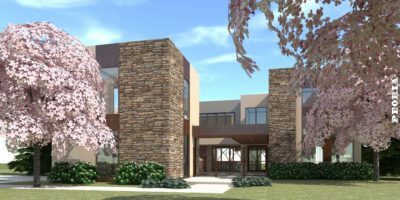 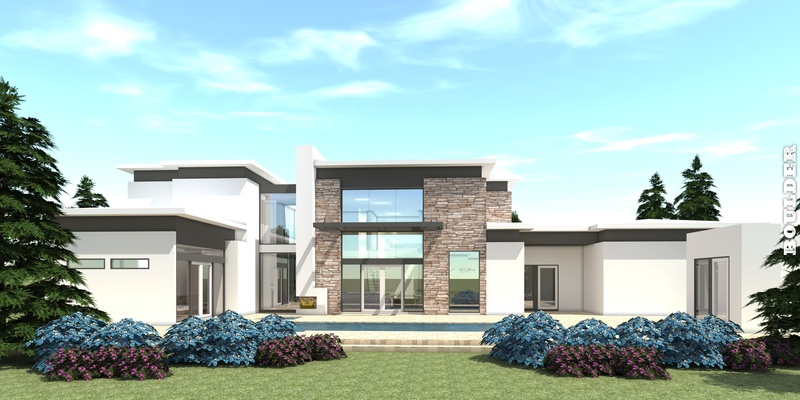 September 2016, this plan was featured on Builder House Plans as an ‘Exceptional Modern Design’.